Playing as the High Elves, construct the White Tower of Hoeth. Playing as the Dark Elves, construct the Black Citadel of Anlec in the city of Tor Anlec. Playing as the Dark Elves, construct the Black Tower of Malekith in the Dark Elf capital of Naggarond. Playing as the Lizardmen, construct the Vaults of the Old Ones in the city of Itza. Construct the Sanctum of Quintex in the Ancient City of Quintex. Playing as the Lizardmen, construct the Stellar Pyramids of the Southern Skies in Hexoatl. Playing as the High Elves, construct the Hall of Charioteers in the city of Tor Anroc. Construct the Chamber of Visions. Construct the Gates of Lothern in the High Elf capital of Lothern. Playing as the Dark Elves, construct a Black Ark and upgrade it to the maximum level. Construct the Dark Crag in the sinister city of Hag Graef. Playing as the Dark Elves, construct the Convent of Sorcery in the city of Ghrond. Playing as the Skaven, own at least 13 Scrap Heaps. Playing as the Skaven, own at least 13 Breeding Pits. Playing as the Skaven, own at least 3 Temples of the Horned Rat. Playing as the High Elves, own at least 5 Elven Embassies. Playing as the High Elves, own at least 3 Thriving Elven Colonies. Playing as the Lizardmen, own at least 3 Scrying Pools. Construct the Vault of Nagash. Playing as the Lizardmen, own at least 2 Geomantic Loci. Playing as the Lizardmen, own at least 10 Geomantic Loci. Playing as the Dark Elves, own at least 3 Slave Markets. Playing as the Dark Elves, own at least 10 Slave Markets. Control the Thrice-Cursed Peak, Vaul's Anvil (Caledor), Titan Peak, and the Star Tower. Control the pirate city of Sartosa. Control Pox Marsh, the Awakening, and the Blood Swamps. Control Oreon's Camp and Gaean Vale. Control both Vaul's Anvil (Caledor) and Vaul's Anvil (The Black Coast) in the Eye of the Vortex Campaign. Playing as the Dark Elves, occupy or raze the fortress city of Lothern in the Eye of the Vortex Campaign. Playing as the High Elves, occupy or raze the Dark Elf capital of Naggarond in the Eye of the Vortex Campaign. Playing as the Skaven, occupy or raze the temple-city of Hexoatl in the Eye of the Vortex Campaign. Raze 30 Settlements in a single campaign. Have a gross income of 5000 gold per turn. Have a gross income of 20,000 gold per turn. Have a gross income of 60,000 gold per turn. Have access to at least 5 different tradable resources through production or trade. Have access to at least 8 different tradable resources through production or trade. Have access to 12 different tradable resources through production or trade. Have a level 10 Lord. Have a level 20 Lord. Have a level 30 Lord. Have 1 level 10 Hero. Have 2 level 20 Heroes at the same time. Have 3 level 30 Heroes at the same time. Have 3 magic weapons or pieces of magic armour. Have 10 magic weapons or pieces of magic armour. Have 25 magic weapons or pieces of magic armour. Have 3 magic talismans, enchanted or arcane items. Have 10 magic talismans, enchanted or arcane items. Have 25 magic talismans, enchanted or arcane items. Have a trade agreement with 5 other factions at the same time. Have a trade agreement with 10 other factions at the same time. Have a military alliance with 5 other factions at the same time. Have a military alliance with 10 other factions at the same time. Playing as the Skaven, recruit a Hell-Pit Abomination. Playing as the Skaven, recruit a Doomwheel. Playing as the Skaven, have at least 10 Plague Monks within a single army. Playing as the High Elves, recruit a Star Dragon. Playing as the High Elves, recruit a Frostheart Phoenix. Playing as the High Elves, have at least 5 Phoenix Guard units within a single army. Playing as the Dark Elves, recruit a Black Dragon. Playing as the Dark Elves, recruit a Cold One Dread Knight unit. Playing as the Dark Elves, have at least 3 War Hydras within a single army. Playing as the Lizardmen, recruit a Feral Carnosaur. Playing as the Lizardmen, recruit a Terradon Riders (Fireleech Bolas) unit. Playing as the Lizardmen, have at least 5 Temple Guard units within a single army. Playing as the High Elves, win a singleplayer campaign on Very Hard or Legendary difficulty. Playing as the High Elves, win a singleplayer campaign. Playing as the Dark Elves, win a singleplayer campaign on Very Hard or Legendary difficulty. Playing as the Dark Elves, win a singleplayer campaign. Playing as the Lizardmen, win a singleplayer campaign on Very Hard or Legendary difficulty. Playing as the Lizardmen, win a singleplayer campaign. 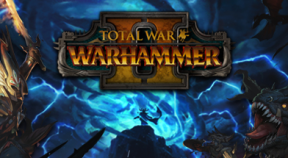 Playing as the Skaven, win a singleplayer campaign on Very Hard or Legendary difficulty. Playing as the Skaven, win a singleplayer campaign. Win a singleplayer campaign on Legendary difficulty. Playing as the Lizardmen, research 10 technologies. Playing as the Lizardmen, research 25 technologies. Playing as the Lizardmen, research 50 technologies. Playing as the High Elves, research 10 technologies. Playing as the High Elves, research 25 technologies. Playing as the High Elves, research 50 technologies. Playing as the Dark Elves, research 10 technologies. Playing as the Dark Elves, research 25 technologies. Playing as the Dark Elves, research 45 technologies. Playing as the Skaven, research 10 technologies. Playing as the Skaven, research 20 technologies. Playing as the Skaven, research 40 technologies. Successfully complete the final ritual. With a single unit, make 200 kills during a campaign battle. Use 10 or more special abilities during a campaign battle. With a single Hero, make 100 kills during a battle. With a single Lord, make 100 kills during a battle. Win 5 ambush battles during a single campaign. Win 25 siege attack battles during a single campaign. Win 10 battles during a single campaign. Win 50 battles during a single campaign. Defeat a CA staff member or anyone else with this achievement during a multiplayer battle. Playing as the Followers of Nagash, construct the Black Tower of Arkhan building during a campaign. Playing as the Exiles of Nehek, craft everything within the Mortuary Cult. Playing as the Court of Lybaras, kill 1000 Vampire Counts in a single battle. Playing as Khemri, occupy all regions of Nehekhara within the Eye of the Vortex campaign. Playing as the Tomb Kings, collect your first Book of Nagash. Playing as the Tomb Kings, collect 1000 Canopic Jars. Fetch Me the Green Stuff! Playing as the Tomb Kings, craft a magic item within the Mortuary Cult. Playing as the Tomb Kings, recruit a Casket of Souls. Playing as the Followers of Nagash, have at least 5 Crypt Ghouls within a single army. Playing as the Exiles of Nehek, have at least 3 Liche Priests within a single army. Playing as the Court of Lybaras, have at least 3 Necropolis Knights within a single army. Playing as Khemri, have at least 5 Tomb Guards within a single army. Playing as the Tomb Kings, win a singleplayer campaign. Playing as the Tomb Kings, win a singleplayer campaign on Very Hard or Legendary difficulty. Playing as the Tomb Kings, gain control of the Black Pyramid. Win the Mortal Empires singleplayer campaign with a race from the Old World. Playing as the Vampire Coast, restore Luthor Harkon's mind by opening the Ancient Vault. Playing as the Dreadfleet, scavenge the wreck of the Heldenhammer in the Galleon's Graveyard. Playing as the Drowned, construct the Cylostra's Opera House in Lothern. Playing as a Vampire Coast faction, win a singleplayer campaign. Playing as a Vampire Coast faction, win a singleplayer campaign on Very Hard or Legendary difficulty.